Voiding cystourethrogram (VCUG) is a diagnostic procedure in which iodine-based contrast material is infused into the bladder using a temporary bladder catheter (or Foley catheter). While being monitored by fluoroscopy and X-rays, you will be asked to void (urinate). The purpose of the VCUG is to assess the bladder and urethra during urination. The most common reasons for your doctor to order a VCUG are congenital malformations of the urinary tract, recurrent urinary tract infections, difficulty urinating, urinary incontinence, or suspected obstruction the flow of urine. VCUG is often used in adults and children to determine the presence of vesicoureteral reflux. This condition occurs when, during urination, significant amounts of urine flow backward (reflux) up the ureters rather than out the urethra. This can cause dysfunction of the kidneys and frequent urinary tract infections. Although there are many imaging tests that can evaluate the structure of the urinary tract (such as ultrasound, CT, and MRI), the VCUG is powerful because it allows doctors to observe urination in real time. Because of this, it is the imaging study of choice in cases of suspected vesicoureteral reflux. With any medical intervention, the risks must outweigh the benefits in order to proceed. Fortunately, VCUG is a very low-risk examination. However, there are certain situations in which it is best to proceed with caution. Patients with a prior severe reaction to iodine-containing contrast should tell their doctors before undergoing a VCUG. It is important to recognize that contrast material will be injected into the bladder, not the veins, and very few patients have significant allergic reactions with this method of contrast administration. If your doctors still think you are at high risk for an allergic reaction, certain oral medications can be taken beforehand to lessen the risk. You should also notify the staff if you have a latex allergy, symptoms of a current urinary tract infection, have had recent surgery or trauma to your urinary tract, or may be pregnant. Although none of these are absolute deal-breakers, the presence of one of these conditions should prompt your doctor to consider altering or postponing the procedure. Your doctor may recommend a VCUG if you have any of the conditions mentioned above, including frequent UTIs, difficulty urinating, or urinary incontinence. VCUG is also often performed in children with suspected malformations of the urinary tract or vesicoureteral reflux. Your doctor may suspect an abnormality based on the results of previous bloodwork or imaging. This is particularly true in children, where a prenatal ultrasound before birth can suggest an abnormality in the urinary tract. Allot at least one hour for the test. Although the imaging portion of the test may be relatively short, it is a good idea to allow time to check in and change. Time should also be allowed for the placement of the bladder (Foley) catheter. When the test is done, the catheter will be removed and you will be allowed to completely empty your bladder. Typically, a radiologist or other physician will obtain the images. After review, he/she will create a report which will usually be sent to the physician who referred you for the procedure. A VCUG can be performed in an outpatient imaging center or a hospital-based radiology department. It uses a specialized X-ray unit called a fluoroscope, which will usually be located in a dedicated room within the department, with a separate area for staff. It is best to wear clothes that are easy to change into and out of. You will likely be required to change into a gown for the procedure. Fasting is not typically required before a VCUG procedure, and you can eat, drink, and take medications as you would normally. If you have an allergy to iodine-based contrast, your doctor may prescribe medications (like steroids and antihistamines) to lessen the risk of a reaction during the procedure. Once you check in at the Radiology department, you will likely be taken to the back by a radiology technologist and be asked to change into a gown. Be sure to tell the staff if you may be pregnant or have allergies to iodine-based contrast or latex. The procedure is performed using a fluoroscopy machine which consists of a table with a large overhead camera. The fluoroscopy room will contain a machine as well as several monitors. There may be a walled off area for staff to sit during the procedure. Anyone who will be in the room during the procedure (except for the patient) will need to wear a lead apron for protection. If the VCUG is to be performed on your child, you will probably be asked to stay in the room during the procedure. Any medical procedure can cause anxiety in children, and a VCUG is no exception, particularly since it requires placement of a bladder catheter. It may be a good idea to bring a comforting object for your child such as a blanket, toy, or video. Some imaging centers employ child life specialists who have resources to help children and families cope with frightening hospital environments. Ask if such a specialist is available. Although the VCUG can be a bit awkward, it shouldn’t be particularly painful. Often, the anxiety before the procedure will outweigh any pain or discomfort, particularly if the patient is a child. You or your child will be asked to lie on the fluoroscopy table. The examination may be performed by a radiologist or a qualified technologist, who will be present in the room throughout the study. An initial X-ray (sometimes called a scout film) will be taken of your bladder area. A member of the staff (usually a radiologic technologist or nurse) will place a Foley (bladder) catheter. This requires cleaning off the genital area and placing a thin catheter into the bladder through the urethra. A topical anesthetic is often placed on the catheter or around the external urethra. Bladder catheterization is not comfortable, but shouldn't be too painful and usually only takes a few seconds. After placement of the catheter, your bladder will be filled with contrast from a bottle hanging from an IV pole. As your bladder fills, X-ray images of your bladder will be taken. As more contrast goes in, you will feel the urge to urinate, and when you can’t hold it anymore, you will be prompted to urinate on the table. Typically, an absorbent pad will have been placed under you for just this purpose. If your child is the patient, reassure him or her that it is okay to urinate on the table. The process of filling of the bladder should only take a few minutes. During urination, X-ray images will be obtained of your urethra and kidneys. The images will show whether your bladder and urethra appear normal in size and shape. Additional images will show whether your urine flows in the right direction during urination, or whether there is back-flow into the ureters or kidneys (vesicoureteral reflux). Final (post-void) images will be obtained when your bladder is empty. Some patients, for psychological reasons, will find it difficult or impossible to urinate in this situation. If this is the case, let the staff know. They may still be able to get useful diagnostic information by allowing you to use the restroom in private, then taking follow up images immediately afterward. The catheter will be removed during or after urination. You will be allowed to use the restroom if needed. Then you may get dressed and go home. After discharge, you should be able to immediately resume normal activities. Because of the bladder catheter, you might feel a little sore when you use the restroom. This should go away in a day or so. You should notify your doctor if you have persistent pain on urination, fever, overly frequent urination, or blood in your urine. Results of a VCUG are usually interpreted by the performing radiologist and are often available within a day or two after the procedure. The results will be sent to the physician who referred you for the study. Many hospitals now have web-based portals which allow patients to directly access their radiology reports. The radiology report will describe the procedure technique. It may include information such as the amount of contrast material used and the length of time the fluoroscopy machine was used (fluoroscopy time). The report findings may include a description of the shape of your bladder and urethra during filling and urination. The report will indicate whether there was evidence of vesicoureteral reflux. If the ureters and kidneys were seen, the report will comment on whether they appeared normal or enlarged. If there was urine left over in your bladder after urination (post-void residual), the report will say so. Make a follow-up appointment to discuss the results with your doctor. 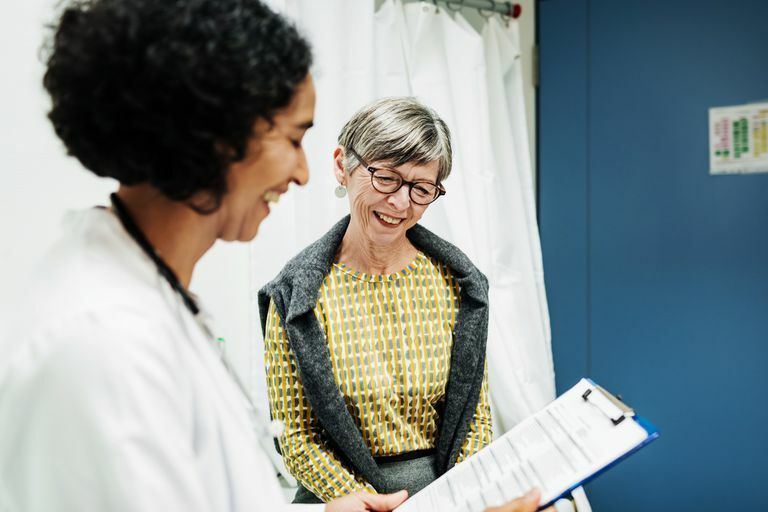 The VCUG results form a part of a larger clinical picture, and no treatment decision can be made without also considering your medical history and goals. For this reason, it is important to be open with your doctor about your expectations for treatment. If vesicoureteral reflux is detected, the report should comment on the severity and whether the reflux has caused dilation of your ureters of kidneys. In mild cases, you or your child may require no treatment. Frequent urinary tract infections may be treated with antibiotics as well as dietary or other lifestyle modifications. You or your child will need to be vigilant and report any symptoms which may indicate a urinary tract infection. Follow up VCUG may be performed for surveillance, perhaps every 18 to 24 months. Severe cases of vesicoureteral reflux may require surgery. Waiting for test results can provoke a lot of anxiety whether you're waiting for your own results or your child's. Remember that there is no one-size-fits-all treatment, and whatever the VCUG shows, the management plan will depend very much on your own goals. Be open and frank with your physicians. Take a moment to write down any questions you may have. Be able to clearly articulate your expectations to medical staff. This will ensure the best outcome. ACR-SPR Practice Parameter for the Performance of Voiding Cystourethrography in Children. American College of Radiology. Mattoo, Tej K, and Greenfield, Saul P. Management of vesicoureteral reflux. What to Expect During a VCUG. UCSF Benioff Children's Hospital - San Francisco. Zagoria RJ, Dyer RB, Brady C. Genitourinary Imaging: the Requisites. 3rd ed. Philadelphia (Pa.): Mosby Elsevier; 2016. Radiological Society of North America, Rsna, American College of Radiology. Patient Safety - Contrast Material. Patient Safety - Contrast Material.